Can Roger Federer Carve Out One Final Masterpiece? With 88 career titles, 17 Grand Slam wins and a plethora of historic moments under his belt, Roger Federer is well into the twilight years of his professional tennis career. With that, comes a dream to win just one more Wimbledon title and etch his name into sporting immortality amongst the greats. In the past four versions of "The Championships", the Swiss Maestro has reached three finals, winning once against Andy Murray in 2012. Many saw that triumph as Federer's last shining moment to bask in glory ahead of his inevitable decline from the top, but he has been consistent in reaching the final time and time again, only to be outwitted by World number one Novak Djokovic each time. Federer is by far the most experienced player heading into this year's tournament, with over 1300 matches and $98m in prize winnings. He yields a distinctive aura to any sporting arena he steps in, evident by the support and respect he retains despite his recent struggles to assert himself at the top of the rankings once more. The 34-year-old decided to withdraw from the French Open won by Novak Djokovic last week, where he would have had an uphill battle against top clay-court players. Federer has just one French Open title, having won every other Grand Slam at least four times. Federer snapped his historic streak by failing to compete at Roland Garros, having previously competed in 65 straight Grand Slams since his debut in 1999. He hasn’t missed Wimbledon since 1998, and Federer is preparing to play in the tournament that he’s won seven times, including every year from 2003-2007. Currently on the comeback trail and competing in Stuttgart, Federer is preparing himself just in time to reach peak fitness for Wimbledon at the end of June. It has been a struggle for the Swiss, who had meniscus surgery after he lost to Djokovic in the Australian Open semifinals in January. He returned at Monte Carlo in April, but he’s competed in one tournament since, still looking for his first piece of silverware this year. Speaking to Andy Roddick in 2013, Federer admitted the proudest moment and greatest accomplishment of his glittering career was winning Wimbledon for the first time in 2003. "Winning Wimbledon for the first time in 2003, and then becoming World number one at the beginning of 2004, It's the ultimate achievement, That's when I could have ended my career already." While the reality of ending his career is a dawning prospect for Federer, he is set to switch to predator mode, ready to grind out just one more Grand Slam and a standing ovation at the All England Lawn Tennis Club in a fortnight's time. 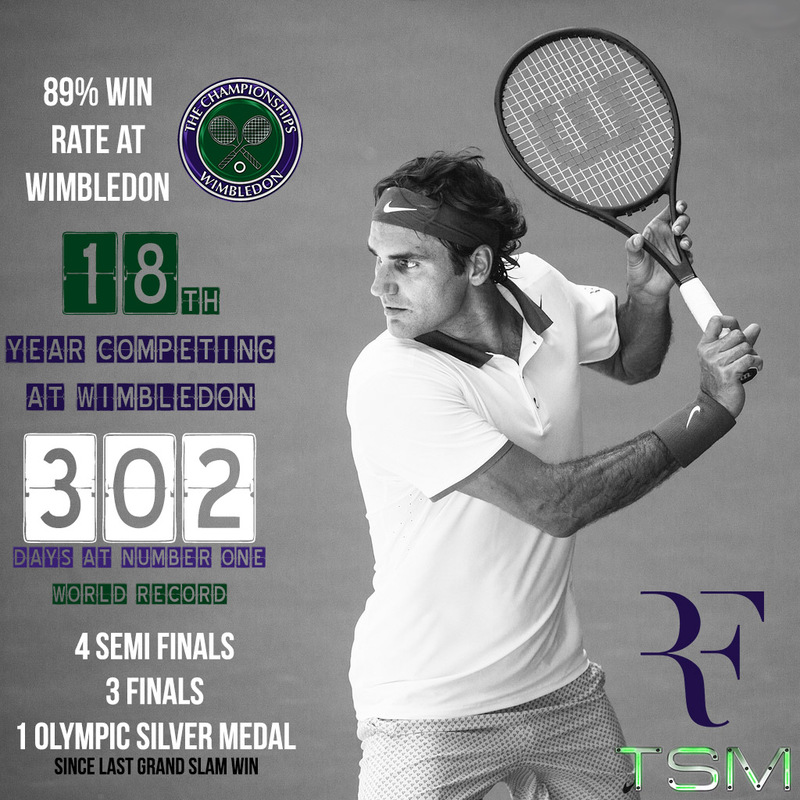 TheSportMatrix • We Live For Sport: Can Roger Federer Carve Out One Final Masterpiece?